UPDATE: The Withings Activité is now available to pre-order with a price of $450/€390, and will be shipped by the end of November. The Withings Activité is finally about to launch, and the company will start taking orders “within days”, Wareable can exclusively reveal. The news came from a senior figure at Withings, who confirmed that pre-orders would start to be taken imminently, with the first purchases fulfilled in November. Back in August we were told by Withings CEO Cédric Hutchings that the Activité would land in October, but it seems that supply issues have pushed delivery back. Since then Wareable been inundated with questions about the Activité’s availability. Part of the problem is that instead of being manufactured in China, like the Withings Aura and Withings Pulse Ox, the Activité is being assembled in Switzerland. However, we were assured that the first batch of 300 devices will go to those who have pre-ordered and registered interest at the company’s web site. 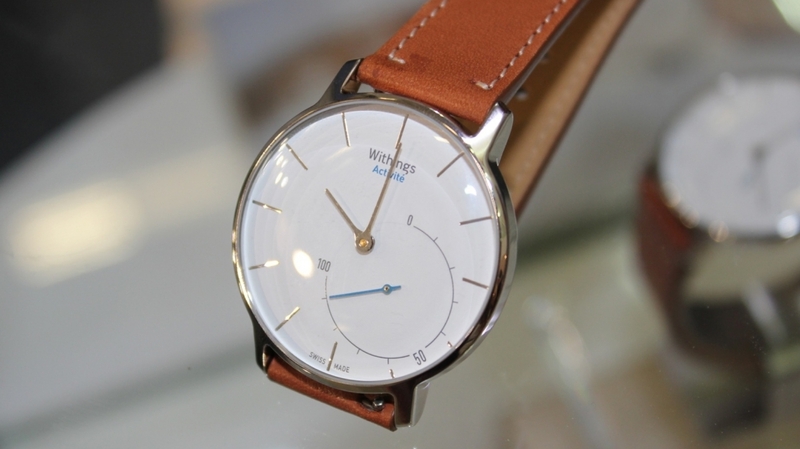 The Withings Activité blends classic Swiss watch craft and French design with the features of activity trackers such as the Fitbit Flex and Jawbone UP24. The analogue watch face has an extra dial that tracks the progress of your activity goals and has the full range of sensors you’d expect to find in any normal fitness tracker. Unlike ordinary analogue watches, however, time is adjusted automatically thanks to the Bluetooth pairing with your smartphone, and it will track your sleep as well as waking you up smartly based on your sleep cycle. Keep checking the Withings store for updates, and make sure you check back for out full Withings Activité review.